This is the first book by Martina McAtee that I’ve read and it is totally outside of my usual genres. I was just so drawn in by the unusual covers of her books. She won the 2016 Reader’s Favorite Gold Medal for her first book, Children Shouldn’t play with Dead Things. This book, Loving You with Teeth and Claws, is a prequel to the series. Martina McAttee’s books are Young Adult and Paranormal with a bit of Romance to keep things simmering. I loved this book and can’t wait to read Book 1, Children Shouldn’t Play with Dead Things. This story starts with Neoma, a young girl who is being chased by Dylan (a wolf shifter). She hides from him but he can smell her. She is so scared of him but she can’t remember why exactly. She just knows that if he finds her, he will take her to the woman again and they will hurt her. She finds a place and tries to make herself very small. He finds her though, he always does, and in her frightened state she feels power coming up to her from the ground and then Dylan is dead. At least she thinks he is. She runs to the woods and runs into Wren. She was so relieved because Dylan had told her that Wren was dead and couldn’t save her. Wren doesn’t know what has been going on but he knows something isn’t right. He left Neoma with his family to look out for her but they let someone hurt her. He took Neoma and ran. They had to get as far away from there as they could before his dad found out they were gone. They go to an old witch who tells him that someone has been hurting Neoma but he can’t see the scars because she has been glamoured. There were also many other spells on her, some blocking her memory. The witch showed Wren a glimpse of what Neoma really looked like and it was awful. He couldn’t believe someone would do such a think to such a sweet little girl. Then the witch suddenly told him the little girl has a passenger and is attacked by someone Wren can’t see. The witch told him to get out of there and go to a town that is hidden by magic to see his betrothed. He grabs Neoma and runs thinking maybe this person and her pack can help protect them from his father who desperately wants Neoma back. Wren doesn’t understand why his father wants Neoma so badly but he plans to do whatever it takes to protect her. Meanwhile, Alpha wolf, Isa McGowan, is trying to get four pre-teens out the door for school so she can get to work on time. She is only 22 but can’t live her life like she would like to. She has to care for these kids and run a restaurant to stay afloat. Her pack isn’t what it used to be but she is doing all she can. She also has no idea of the mess that is heading her way. This is another book I've been meaning to read for ages so I can move it on. I'm happy to move it on because it wasn't very good. It was pretty flat without a lot of depth to the characters. Also, the wrap ups for the mysteries was too quick and not very satisfying to me. It was like, "okay, that's over, next thing..." So this is a great book if you aren't expecting much. This is definitely a "Cozy Mystery." This was a quick read and perfect for Christmas. Once again Alvirah helps her friends and solves not one but three mysteries. A friend had passed away and her home was to be left to her sister. She sister had decided to donate the home to a charity who runs a thrift store and place for children with no place to go after school. Kate, the sister, was going to live in the apartment upstairs where they currently had a couple renting. Alvirah was suspicious of them right away when at the funeral they acted like family. Later, they surprised Kate with a new will from her sister Bessie saying she was leaving her house to the couple and Kate would be allowed to stay in the apartment upstairs. This meant the children would no longer have a safe place to go after school because the building it was currently in was too old and deemed unsafe by the city. Alvirah was sure the will was a fake and was determined to figure out how they did it. This is a kindle book I won from a Goodreads giveaway. I loved this book and every character. I will definitely be reading the others in the series as they come out. This was my first time reading a book by Kylie Brant and now I want to look up more of her books. Eryn Pullman was 9 years old when she was found with the dead body of her mother. Her mother had been stabbed to death and Eryn was found with the bloody knife. A judge sent her to a mental facility and at the age of 21 she is finally getting to go home. The local community is not happy about that though and tries to block their way onto the property. The sheriff has to intervene. A short time later a child-killer escapes from a forensic facility that was a few miles from where Eryn had been kept. Multiple agencies are called in to help find him as fast as possible and hopefully, before he kills another child. In the course of going through the escapee's room and possessions they discover he had an MP3 player but the songs changed to speech. They discover the man had been listening to Eryn's patient notes from her doctor. Why? No one knows but all the agencies are racing against the clock to stop him before he hurts someone. This book was a bit more disturbing than the others I've read recently. It starts at a little church in a poor black community where a local pastor is leading the choir in rehearsal. As all the kids filed outside the pastor, who had been a soldier, heard a noise he hadn't heard in a long time. He yelled at everyone to get down as he dove to save two girls that were frozen with fear. When it was over and he looked up at all the bewildered kid's huddled on the ground he thought everyone was okay... until he saw the small body on the steps of the church. The front of the church was scarred with bullets and the beautiful stained glass window and been blown out. It was a sad day. The girl that died was the youngest in the choir and it seemed impossible to the pastor that the spray of bullets missed all the kids except this young girl who would have been harder to hit from the angle of the shooting. Lindsay Boxer was recently promoted to lieutenant on the homicide squad and was determined to figure out who did this. As she and her team looked into the shooting and into other recent crimes they found another murder that might be connected. An elderly woman was found dead in her home. A symbol of a hate breeding biker gang was found at both scenes and she was sure they were connected but she had to convince her boss. As she looked into the murders she found that they were all related in some way to law enforcement and she found that very unsettling. 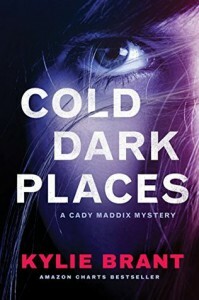 She met with her friends (the reporter, Assistant district attorney, and the Medical Examiner) and tried to work out the details of this killer like they did the first time but then the killer went after one of her friends. She knew she had to figure this thing out or any of them could be next. I almost finished this book in November and that would have made 2 books read that month but I didn't finish until Dec 1st. This was a great holiday read. 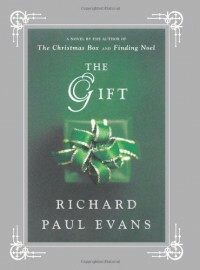 This is a great book to read at this time of the year. It is sad but doesn’t leave you sad because the story comes wrapped up with hope. It is like the story of Christ and how he died, but he died for a purpose and presented us with his gift. This book is about a little boy named Collin who also had a gift. He was a very sick little boy with cancer and heart failure and he had a little sister who loved him very much. He lived with his mom, Addison, who worked very hard to make sure he and his sister were taken care of. Nathan Hurst met this little family in a crowded airport when a snow storm shut down all flights and the roads leading to the airport. The airport was full of stranded, tired, and very frustrated people. Nathan’s employer provided him with a hotel room at the airport but many people were out of luck and had to sleep in the chairs or on the floor. When Nathan saw the woman with the sick little boy and his little sister who was very tired he offered her his hotel room. He was also very sick with bronchitis and she didn’t feel right taking his room. It turned out that he ended up with the only room left, which was a suite with two rooms so they decided he would stay in one and the little family stayed in the other. Later, when they were getting to know each other something amazing happened. The little boy put his hand on Nathan’s head and healed him. He didn’t just heal his bronchitis but also his Tourett’s syndrome. Nathan didn’t say anything at first because of how ridiculous it sounded. No one would believe him, but he knew that little boy was special. Collin’s mother didn’t want anyone to know about his gift because every time he healed someone, he got sicker. She knew everyone would be begging for his help and it would kill him. What she didn’t expect was people trying to use his gift for monetary gain. It was bound to happen and it eventually did. Someone saw Collin work his magic and the chaos began. This story hits on a few other topics as well, like greed and forgiveness, especially forgiving yourself and letting go of the pain. Nathan had been holding onto something very painful that happened when he was a child. He never talked to anyone about it and it was like a festering wound that was preventing him from really living his life. Collin helped him realize that it was time to let it go and to finally start living. I know from experience that can be very hard to do, even when you desperately want to. This book doesn’t take long to read but it is worth the time. This is the only book I read in November but at least it was better than the last one. This one had a lot more thought out detail so it was more interesting. Annie always admired this little tapestry on the wall of her grandmother's house. Even after she moved in she never moved it. She always wondered about the strange signature with Roman numerals surrounded by the same initials. One day at the Stitch In Time's needlework group meeting Stella had a huge announcement to make. She said a professor was coming to Stony Point to put on a play involving local students and members of the community. She encouraged everyone to get involved and use their special talents to help in some way. This play was about the virtuous wife portrayed in Proverbs 31 in the Bible and was written by a man who grew up in Stony Point. He had recently lost his wife and wrote the play to honor her. Annie and her friends went to look around in her attic to see what they could find anything that might fit with the time period. They pulled out a couple rugs to see if they could be used and found a large tapestry rolled up with one of the rugs. She knew when she saw the initials that it was by the same artist who created the small one on the wall in the living room. It seemed to fit with the verse so she thought it might work well for the play but she was curious why something so beautiful was kept hidden in the attic like that. She thought maybe her grandmother hid it for a reason and that she should just take care of it and not let it be damaged by using it in the play. When the others saw it they all pressured her to use it for the play so Annie decided she would but she got some friends to help her design a special frame to display it and she learned how to protect it from dust and light. One day when she went in to show it to some friends she was shocked to find it was gone and only the frame was left. She was baffled how anyone could have taken it from the locked room at the theater. When she said she was planning to go to the university to learn more about the artist she ended up getting hurt when something fell on her head. It wasn't an accident and the police were worried that the two incidents were related. They warned Annie to be careful but she wouldn't stop trying to learn about the artist and who would have stolen the canvas and why. I'm trying to get things in order before the end of the year and catch up as much as possible with reading. I lost my reading mojo for about 4 months so I totally blew my reading goal for the year. I felt it slipping away in the last few months before it really hit me and I noticed I was reading less. Then for 4 months I only read one book each month and they weren't even good books. I had to make myself read because these hardback books took up so much shelf space. I also really want to finish this Annie's Attic Mystery series. The majority of them are not very good but I really liked a few. 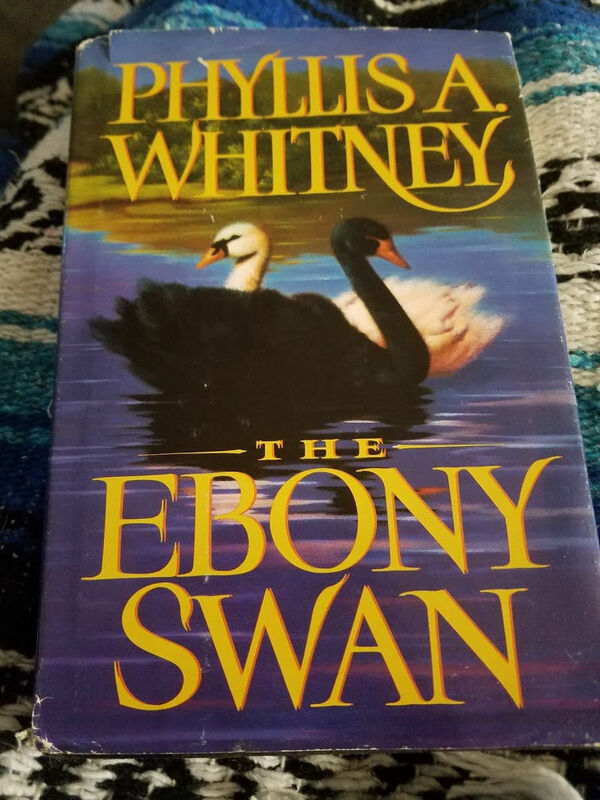 I have another similar series of books that I've been collecting but they are too similar so I am waiting to finish the one series before starting it. That one is the Patchwork Mysteries from Guidepost books. I read the first 6 maybe in that series before stopping and I think that series is a lot better. I'm looking forward to finishing the first series so I can start that one. Anyway, when I finally started to feel like reading again it came in a trickle with me thinking about reading and getting new books more than anything. New books always help fill in the mojo hole. I guess I have been focusing too much on getting through all the old books I've had here and not reading much new stuff. I need to make sure to keep some new stuff mixed in and also some different genres. I've always stuck mainly to realistic books and almost all mysteries. Now I'm venturing out into fantasy. I have found I like to read books about magic. So there is this needlework convention happening in Texas and for the first time the different needlework guilds are all coming together to include all types for this event. There was a fashion show involving crochet, knit, embroidery, and who knows what other types of design work. The owner of A Stitch in time entered Kate's crochet dress without telling her because she knew she wouldn't do it. They all talked her into going and Annie agreed to model it for her. At this event they were also going to be honoring Annie's grandmother for her cross stitch work and they asked Annie to bring along any of the pieces she had to display. They all piled into one vehicle and made a road trip of it. They were all having fun until they started noticing the same vehicle following them. When they stopped at a hotel to get some rest they saw a couple of strange men watching them and then they were woken in the middle of the night by the car alarm. Two men were trying to break into the car but were scared off when they went running out there. So this story was a typical "cozy mystery" where nothing really bad happens and things are just not very realistic. I hate that. The whole time I kept thinking, "like that would ever happen..." ugh.... So, I know there are a lot of people who loved this book but I didn't. I love finding things people leave in books but this is the first time I've found something that I left in a book almost 30 years ago! I am sick so I decided to stay in my pajamas and rest in bed. I had pulled out this book to read next because I was sure it was the book I'd had the longest. It is also a hardcover book and they take up too much room in my shelves. I started reading it and came across a piece of paper printed in red that looked like a $5 bill. They were called Safety Bucks. It is from my first job as a teen which I got when I was 17. I think this was from 1989 when I was 18. I really didn't remember much about these but my husband just said they could be used to buy things at the hotel. I think they were earned for not being injured on the job for a certain length of time. This is the time when I met my husband (he worked there too) and in September 1st, 1991 we were married. I really enjoyed this book. It's about a young man named Peter whose grandfather just passed away. He has many fond memories of helping his grandfather on the farm in Minnesota and wonders why his father didn't stay there to take over the farm. He resents his father, who is a musician, for always moving around while he was growing up and for missing his grandfather's funeral. Peter is between jobs and he and his new wife Mae are staying in her parents basement, which hasn't been ideal. Mae's mom doesn't think Peter is good enough for her and Mae ends up leaving with their mother-daughter relationship in ruins. Peter's Grandmother mentioned one day that her husband Roy had always hoped someone in the family would take over the farm and Peter thinks that is what he wants to do. He talks to his wife and his grandmother and they decide on a trial period to see how it goes. Mae finds out very quickly that outsiders have a hard time fitting in with small town folks where everyone knows everyone's business. Peter loves farming but has a hard time keeping up and is worried about paying back his operating loan. The story continues to tell of some of their trials on the farm. I really like how the author inserted short chapters in italics that tell a small story from the past just before a chapter where that person is involved in the present. That allows the reader to get to know the people in the small town and how they relate to one another. You learn a little bit of history right when you need to. The stories are very well written and make you feel for the people in the story. After reading this book you are left wondering what's next and there are two more books "Dandelions in a jelly jar" and "aprons on a clothesline". This isn't just a book about farming. It's about being new and and trying to fit in where newcomers aren't welcome. It's about love.... and family. It's about coming through difficult times unscathed and knowing you are not alone in the world. I liked this story but it was slow moving. I liked the historical aspect to the story but also had questions. William, the judge, had made notations in his bible in Latin during a case long ago and when it was found in the attic Annie began trying to figure out what they meant. She discovered the link to the court case and with the help of some friends was able to find the meaning of the words and numbers. I just wonder what the purpose of those notes was. Did he make the notes with the hope that someone would figure them out or was he just making them for himself? What was the purpose of using Latin and Roman numerals? I don't think things are very cryptic and anyone could have looked up the meaning of them. Some of the details, like the identity of the woman on the receipts and who the wife of Ron really was, were not a surprise to me. I wish the ended had included some kind of official remedy to the situation to at least clear the family name. Maybe that was hinted at but it would have been better to include something like that than all the awkward stuff about having to show ID, fill out forms, and check purses at the Historical Research Center. This book was Baldacci's debut novel and I loved it! I'm so glad I finally read it because it was so much better than the movie. In the movie they changed some of the details and leave out a big character. I did like some of the changes since Clint Eastwood played Luther and it made sense with him. It didn't have that thriller aspect like the book did though. Jack, who was a public defender but recently got a new job in a big law firm with a chance at becoming a partner. He is engaged to the daughter of a billionaire and his life seems to be going really well. He can't stop thinking about Kate though. He and Kate were engaged to be married but she couldn't accept that he liked her dad, who was a thief. She also couldn't deal with the fact that he defended criminals when he was a public defender. Kate became a prosecutor and came down hard on people like her father. She wouldn't have anything to do with him anymore since he ruined their family and she also cancelled her engagement with Jack. When Luther breaks into a mansion everything is going great until someone else comes in. He has to hide in the vault hidden behind a mirror and wait until they were gone. That's when he realizes the mirror is a one way mirror and he can see everything in the room. He watches as the lady of the house is brutalized and murdered and then the scene is cleaned up to remove all traces of who had been there. One thing was missed though and Luther saw it fall. As soon as they left he came out and grabbed it and escaped through a window. They soon realized what was missing and went back to find it but instead found it gone and a rope hanging out the window. Luther knew he had to run for his life. He got out of there and quickly left the country. He knew no one would believe him if he went to the police with what he knew. No one would believe who killed her. He finally decided he had to go back and try to get justice but he knew it could mean losing his life. This book was especially interesting to me because it is about people from the Scottish Highlands and I am part Scottish. The people had come to America to settle near a mountain. One of the customs they brought with them was the use of a Sin-eater. The person was chosen by lot to take on the sins of the others after they died so they could go before God free of sin. The dead was laid out at the cemetery with a try carrying wine and bread. They believed the sin of the dead was absorbed into the food. At the end of the ceremony the people all turned their backs to the grave and the Sin-eater would come and eat the bread and drink the wine and then say a quick statement absolving them of their sin. The children were all warned not to look at the man or some of the sin in him might come upon them. The people all shunned the man and he had to live in the mountain all alone, alienated from his family and friends. When Cadi's grandmother died and she was at her funeral, Cadi heard sadness in the man's voice and couldn't resist looking. He looked like a normal man. She had a terrible guilt on her conscious since the death of her younger sister and decided she needed to find the Sin-eater and ask him to eat her sins now, before she died, to ease the burden of her soul. Her mother was only cold to her and she knew it was because she blamed Cadi for the lost of her favored child. At the same time a preacher of God came to the area and she heard him talking by the river. Cadi and an older boy went to see what he had to say even though they were told to stay away by the clan leader. This story was interesting but I have a hard time believing the girl (Cadi) was only 10 years old. I think of kids of that age and this girl seemed so much older. Also, the things the preacher was saying was so scattered and it was all difficult language from the bible. I had a hard time following it but this 10 year old was able to understand and repeat it to others so that they understood as well. It really sounded like he was a crazy old man spouting nonsense but these two kids took it as gold and never questioned anything he said. That was difficult to believe but I did like the story anyway. I enjoyed the story about the cave and what they found there and how that story unfolded. I finally read this one. My husband told me I would like it a long time ago. I did of course. Harry cracks me up. Harry Desden is a wizard in a world where people still don't want to accept that magic is real. He uses his talent to help people. He also helps the police from time to time, whenever things seem out of the ordinary. In he same day he got two calls: a woman who was looking for her husband but didn't want to call the police for help and the police, who called him to the scene of a double murder. The murder scene really scared Harry since he knew the kind of power that would have been needed to carry out the crime. He was too scared to even try to figure out how the spell was done. The White Council was already on his case since he used magic to take a man's life. He was only alive because it was done in self defense. In any case, Morgan, who was set to watch Harry in case he broke any more laws of magic, was sure he was evil and also believe he killed the two people. Harry had to figure out how to find the wizard who did this evil thing and stop them without getting himself killed in the process. If I was some kind of hero from a romance novel, I'd have said something brief and eloquent and heartrending. But I'm just me, so I said, "I do understand, Karrin."